Getting your nails all painted and done can make you feel and look a lot prettier, and more confident. When it comes to removing your lacquers, however, it’s a whole different story. Choose the wrong remover and you can easily end up with dry and streaky nails. Worse, you can even develop brittle and weak nails. To make sure these things don’t happen to you, here are the best nail polish removers we can recommend for you. 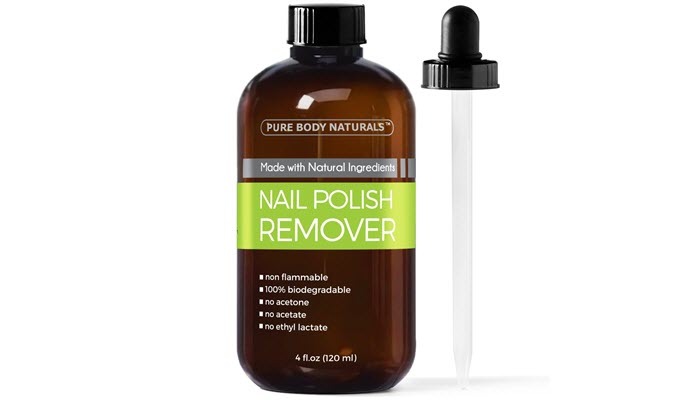 Pure Body Naturals Nail Polish Remover takes the top spot as the best nail polish remover. It’s 100% biodegradable and contains no acetate, acetone or even ethyl lactate. And since it’s non-toxic, you won’t have to worry about getting a headache or feeling nauseated when using it. The product is easy to use. However, unlike most nail polish removers that can be used right away, this one needs to sit on your nails for about 2 to minutes. After such time, you can rub your nails until the polish is gone. One of the nice things about this nail polish remover is its ability to strengthen the nails. If you have been struggling with weak and brittle nails because of chemical-based removers, this one can reverse that. Apart from strengthening, the product also has a hydrating effect so you can beautiful nails each time. Onyx Professional Soak Off Shellac & Gel Nail Polish Remover comes in maximum strength to ensure that it’s able to remove the gel, artificial and glitter nails. Its formula can also get rid of nail glue. Despite the formula, the product also offers nourishing benefits with its vitamin E and grapeseed oil content. These two ingredients can be commonly found in anti-aging creams. 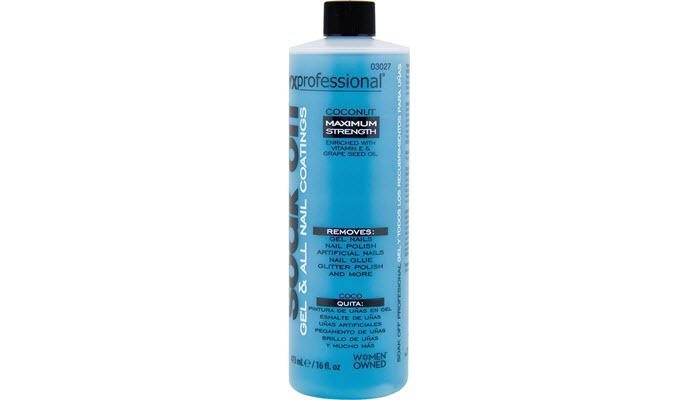 It comes in this 16-ounce bottle which gives you a lot of product to work with. And you’ll only need a small amount of product, so one bottle can last you for quite awhile. To use the product, you’ll need to soak your nails in it using a bowl. It should take around 15 minutes to work. Take note that the product comes with a coconut scent. This isn’t really overpowering or bothersome. However, if you have a really sensitive sense of smell, it might be an issue. 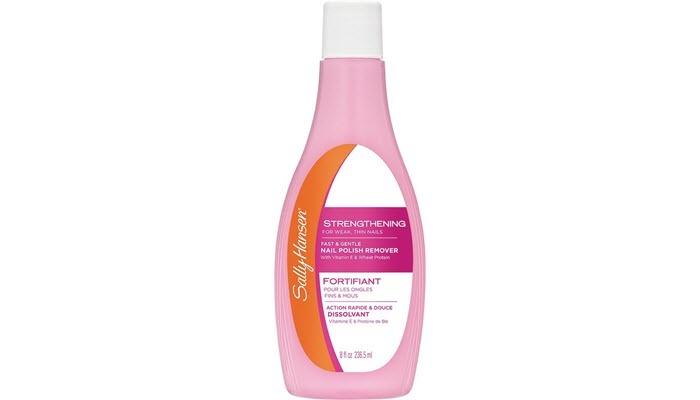 Sally Hansen Nail Polish Remover, Strengthening is another great product to try. It can soften cuticles while strengthening your nails so you get more value than what you pay for. That’s thanks to its unique blend of vitamins, nail strengthening gelatin, and protein. It’s a good choice if you frequently wear dark polishes. It’s able to remove them without leaving annoying stains and marks on your fingers. It won’t even dry them up, too. One issue with this product, however, involves its packaging. 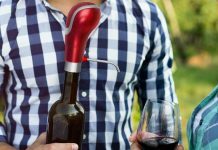 There’s no stopper at the top of the bottle so it’s very easy to dispense more product than necessary. It can cause spills, too. 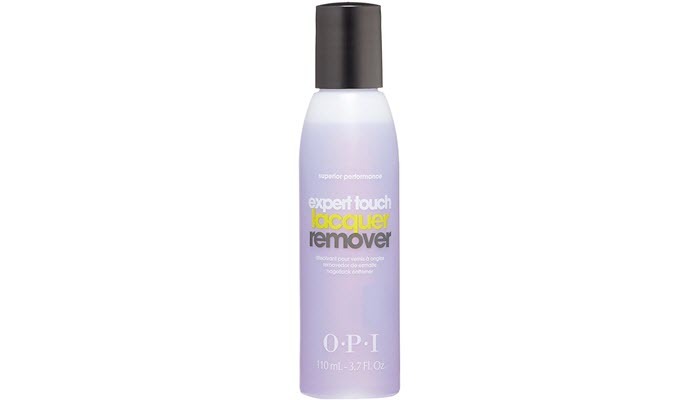 OPI Nail Polish Remover is our budget pick. Despite its cheap price tag, it actually performs well. It’s easy to use. It can sweep away dark polishes without any drying effect or even streaks. And what’s even nice is the fact that you’ll only need a small amount of product. One caveat, though, is that its bottle is smaller than the others on this list. The product, however, makes up for it in terms of quality. You can remove your nail lacquer in just a few swipes and with much less effort. In most cases, you can even take all of them off with just a single piece of cotton. The polish contains tocopheryl acetate, also known as vitamin E acetate, which is highly beneficial to both nails and skin. Apart from that, you can also find grapeseed oil and aloe vera leaf extract in its list of ingredients. These two can help boost the strength of your nails over time. If you think all nail polish removers are the same, it’s probably the right time to get your facts straight. Nail polish removers are basically categorized into two types: acetone-based and non-acetone polish removers. Let’s break down the details. This type is the most common type you’ll encounter. You are probably using this more often. It’s less expensive, so a lot of people prefer to buy them. Unfortunately, its cheap price comes with some drawbacks. For one, they tend to be harsh and they can strip off the natural oils of the nails and their surrounding skin. As a result, your nails are more likely to get dried out, brittle and weak over time. 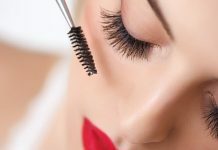 This type of remover comes with a strong chemical scent, too. If you have allergies, like asthma, it’s likely to trigger a negative reaction, particularly when you’re severely exposed to it. Acetone-based polish removers, on the other hand, are easy to use. They are effective and can quickly remove nail lacquers with less time and effort. They work well in removing polishes with dark colors and glitters. Unfortunately, they are not the best ones to use for acrylic nails. Since they are harsh and strong, they can damage the acrylic nails while taking off the polish. Some acetone-based polish removers now have formulas that contain hydrating ingredients to negate the effects of acetone. These formulas are typically more expensive, but they are surely worth the investment since they can benefit your nails and skin. Non-acetone polish removers have no harsh or strong solvent. Because of this, they are your best bet when it comes to fake nails. They won’t dry out your nails and, instead, will leave your nails and skin nourished and moisturized. Because of their gentle nature, they can take more effort and time in removing polishes, especially those that are dark in color and contain glitter. Some formulas may even require soaking for a couple of minutes just to get every pigment off of your nails.